You can navigate the video with your Siri remote. Twitter launched its very first streaming app on Apple TV last year with the promise of Thursday Night Football and live sports. 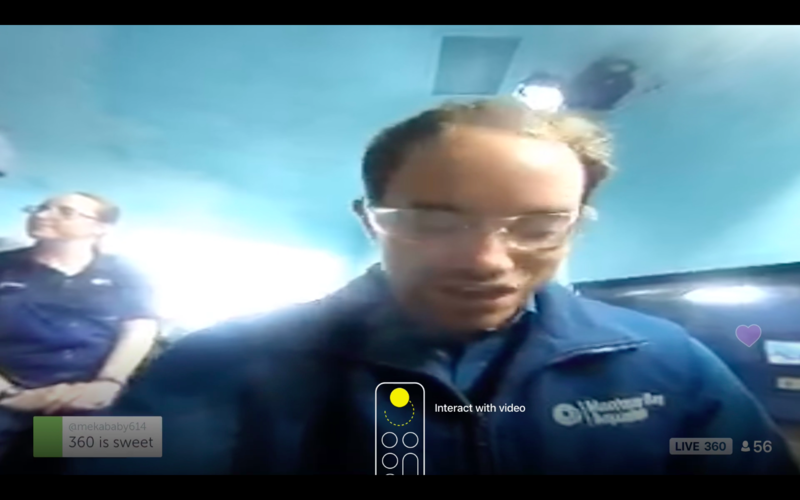 Now it's expanding its television repertoire with even more live content: 360-degree videos. The social media company just announced that it's adding a Periscope Global Map to its Apple TV app, from which you can then select all kinds of live 360 videos from around the world. After you select a video from the Periscope Global Map, you can then navigate the 360-degree video using the Siri remote. According to Twitter, 77 million hours of live user-generated video was broadcasted on Periscope in the first quarter of 2017, so it seems you won't be lacking for content. Also, seeing as Twitter also has live TV apps on Xbox and Amazon TV boxes, it won't be surprising if live 360 videos appear on those platforms some time soon as well. This also makes Twitter the very first Apple TV app to support live 360 video, effectively beating YouTube and Facebook to the punch. Yet, YouTube isn't far behind, as it did announce last week at Google I/O that it was bringing its 360-degree videos to TVs soon. It's not coming to the Apple TV as far as we know, but Google did announce that it'll be available for Android TV, Playstation 4, Xbox One as well as 4K TVs from LG and Samsung. It's not clear yet if Facebook will do the same with its own live videos, but seeing as both Twitter and YouTube already have, it would make sense for it to do it as well.